Regardless of whether you are moving long distance or locally, you need the job done right. Being a professional moving company with many years of experience under our belt we are well aware of what is expected and required of professional grade removals Alperton based customers should contact us for top quality moving services without the usual hefty price tag or margin for error. We deal with all types of residential and commercial property relocations. We offer specialised services like furniture or piano removal, as well as comprehensive domestic removals and office removals. Should you have specific requirements, we will arrange for a custom tailored service package to meet those in full. Additional options like waste collection services can also be included in your removal, or ordered as standalone. Specialised packing services or delivery of packing materials for self-packing is also available. Naturally, we work with specially trained movers and experienced drivers with many years behind the wheel. Working with qualified professionals is essential in order to avoid damage or misplacement of your belongings during handling and transit. As we have good short notice availability in the HA0 postal area, we can take care of your removal as soon as tomorrow! This means you have less to worry about and more time to what you like. Alperton is not the most interesting or notable area of the capital but it is only a fifteen or so minute tube ride from the city’s central districts where it’s all at. Perhaps one of the more notable pieces of infrastructure in Alperton is the old Grand Union Canal – an important river way that served the capital for many years in delivering goods and materials up and down the river. The canal in its current form is the longest of its kind in the UK. Interesting historic trivia says that at one stage Alperton was the smelliest place in Middlesex. Heavy industrialisation and particularly livestock farming in the area gave Alperton its unpleasant rep. At the start of the twentieth century things changed dramatically, and one of the local landmarks came to existence – the now legendary Ace Café. The place has been a favourite hangout for bikers since its opening. As an expert in the moving industry, we offer a wide range of high quality moving services in Alperton HA0. We are a customer-focused company that has a team of organised and fully equipped movers who are dedicated to putting your satisfaction first. We tailor your removal to your individual needs and offer flexible booking options that will fit your busy schedule. Our clients can expect an outstanding service, reasonable prices, professional yet personal approach, as well as 24/7 availability. With our offices in Alperton, we are happy to be able to provide moving services to its residents. Located within the London Borough of Brent, Alperton has only a few high-rise buildings. Low-rise houses dominate. After the Second World War, the area experienced a fall in population. 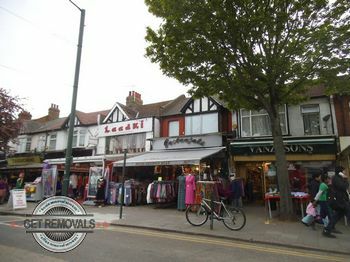 Later, East African Asians started to move to Alperton, creating a community that revived the shopping sector around Ealing Road. Andria Zafirakou, a teacher at Alperton community school, is a notable resident who won the Global Teacher Prize in March 2018.